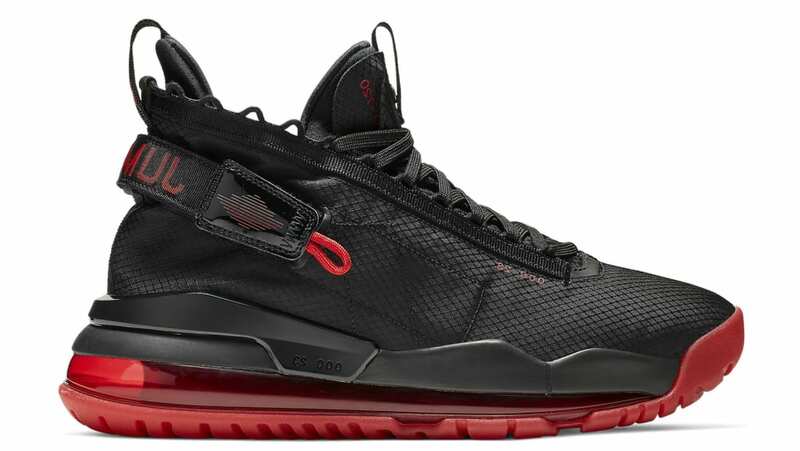 The Jordan Proto-Max 720 will debut in a classic color scheme featuring a black ripstop-like textile upper with hits of red on the adjustable heel strap, a black midsole, which sits atop a red 720 Air Max cushioning unit. Release date is Apr. 1, 2019 at a retail price of $200.